I am spiritually called to offer another one of my Free Distance Reiki Pools for anyone who would like extra healing for themselves, a loved-one (human or animal) or for any life situation that could benefit from a positive dose of light, love and prayer. Feel free to think globally in your requests! (As you read below, you’ll see why.) If you would like to add yourself, someone else or an event that needs healing to my Reiki Pool, please leave a note below in the comment section or contact me privately by clicking HERE. I will be in meditation throughout the next five days, during the festival of Wesak, sending healing globally. Please do not hesitate to contact me if you would like to receive Free Distance Reiki energy and prayer this week. I look forward to hearing from you! 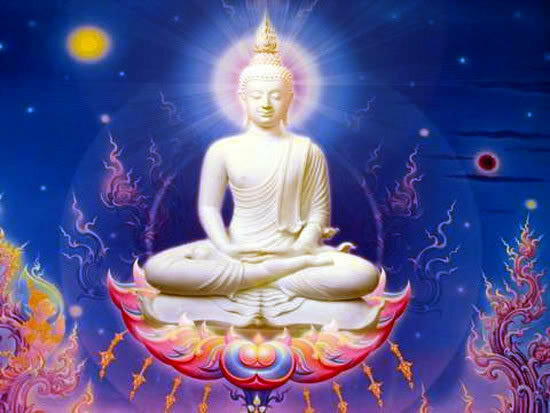 Wesak (also spelled Vesak) is a five day period of practicing non-self importance, generosity of spirit, being of service to others, widening perspective and working for the greater good of humanity. It is about globalized spiritual consciousness. It’s a time to hold ourselves, others and the entire world in divine light and unconditional love to raise the individual and collective vibration on Earth. The following video further explains Wesak. Please know that this video was created last year, in 2013, so the dates of Wesak as posted on the video do not apply to 2014. Wesak is always honored during May’s full moon, so every year the dates of this festival changes. This year, in 2014, Wesak occurs on May 14th, which is this Wednesday! What can we do to play our part in the Wesak festival? Link up with all people of spiritual intention and good will throughout the world. Using the creative imagination, eliminate out of your consciousness all negativity. See yourself clear and on the side of the forces of light. Preserve a spirit of love for all individuals. When meditating and invoking the forces of light, endeavor to forget entirely your own personal difficulties, tragedies and problems. Endeavor at sunrise, at noon, at five o’clock and at sunset plus the exact time of the full moon in your own land to say The Great Invocation (below) with the intent to invoke, precipitate and anchor an art of manifestation the waiting potencies. Do this aloud when possible and in group formation whenever feasible. If you are interested in honoring Wesak, you can follow the suggestions above in how to play your part. This is helpful for those who thrive with structure and a clear purpose. The Great Invocation is, indeed, a beautiful prayer for the world. For some of you, however, simply spending this week by being more conscious, meditative and altruistic, may feel like a more free-flowing way to celebrate this sacred week. With pure radiant light and love, have a very blessed and sacred week ahead as we honor Wesak, the Buddha, all spiritual masters, the full moon, Mother Earth and each other.